At first there were rumors, and then came Google's official unveiling of the Google Nexus 7 tablet. Given the popularity of Google itself, all eyes were anticipating the Nexus 7, which happens to be the search giant's first ever tablet and after the official introduction, analysts flocked in to have a go. The Google Nexus 7 offers impressive specs and that too at an attractive price of $199 only, which is the same as Amazon's Kindle Fire. But an article in CNET reports that as per analysts, the Nexus 7 aims to increase the consumer base rather than turn into profits. According to CNET, research firm UBM TechInsights recently came up with a cost estimate of $184 for the Nexus 7, which covers components and assembly of the tablet. Comparing this to the $199 price tag, the Nexus 7 would make a profit of only $15 per tablet. Contrastingly, the Kindle Fire has the same price tag and a cost estimate of $153, generating a profit of $46 per table. Considering the hardware offered by Nexus 7, Google has been paying more in manufacturing cost compared to the Kindle Fire or the Nook. But we must not ignore that fact that by doing so Google will offer a more satisfying customer experience and could grab the majority of market share. So, if the Nexus 7 sells significantly in large numbers all over the world, then it might turn in a decent profit margin. As per CNET, reports suggest that revenues from online advertising will make up for the shortcoming and besides, both the Kindle Fire and the Nexus 7 is expected to generate revenue through additional content and services. 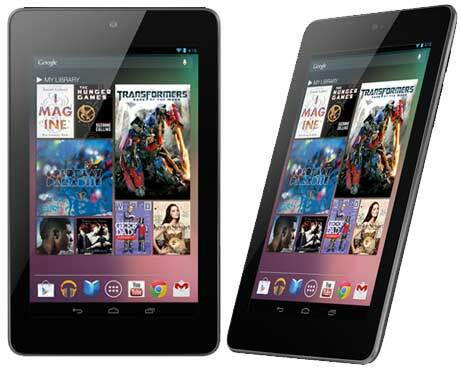 The Google Nexus 7 is currently available for pre-order in Google store and will be shipped in mid-July.